Evolution is not and should not be construed as a compromise, but as a necessity for growth and relevance. It’s about marrying your strengths with your propensity for pushing the envelope. Since Arctic Monkeys’ debut album release in 2006, the Sheffield band has been in a pattern of defining, exploring, building upon, and elevating its sound with each successive release. 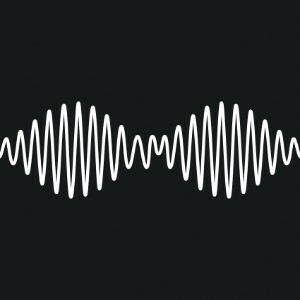 Arctic Monkeys’ fifth album AM is no exception to this pattern. All of the best components of Arctic Monkeys’ catalog over the past seven years can be heard on AM with new refined twists. “R U Mine,” “I Want It All,” and “Do I Wanna Know?” capture the quintessential Arctic Monkeys bravado with boastful gnarled guitars that are reminiscent of the Josh Homme Humbug era and rightfully so given Homme’s contributions to AM. An ironed out refinement of once frenetic energy is consistent throughout the album in the calming of the helter-skelter tempo and Alex Turner’s easy delivery of his trademark tongue-twisting two liners. Arctic Monkeys continue to use our preconceived notions against us with tracks like “No. 1 Party Anthem.” Expecting to hear a raucous punk-inspired song to wreck to, what we get is a lovely ’50s influenced song to unwind to, nightcap in hand after the party. Unexpectedly, there is a chill R&B influenced vibe on a few tracks (“Why’d You Only Call Me When You’re High” and John Cooper-Clarke’s “I Wanna Be Yours”) that you wouldn’t anticipate from this group of Brit-rockers, but that’s precisely the reason why it works. Though seemingly coming out of left field, Arctic Monkeys’ core fundamentals are there securely anchoring them to their home base leaving them free to explore new realms of sound.